The effects of gluten on some of the population have become better realized in recent years, and the statistics surrounding gluten intolerances and allergies are somewhat astounding. It is estimated that 1 in 100 people have a diagnosed gluten allergy, but only about 17% of people with gluten allergies ever get a proper diagnosis. It is also estimated that between 6 and 7% of the United States population has a gluten sensitivity, which is not as severe as a gluten allergy but still causes uncomfortable and sometimes disruptive symptoms. In addition to this, around 20% of Americans today try to avoid consuming gluten for a variety of reasons, and prefer opting for gluten-free options whenever they can. 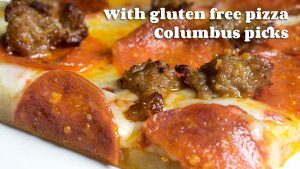 For those in Columbus throwing a party, gluten free pizza Columbus provides you with the tasty, satisfying, and safe solution sure to please everyone in attendance. Pizza is far and away America’s favorite comfort food, and our Bucceto’s gluten free pizza Columbus options are packed full of unique takes and fresh flavors. Party planning is simple knowing that you can satisfy all of your guests, and you barely need to lift a finger to do so! For those with a sophisticated palate looking for something a bit different, our gluten free Smiling Teeth pizza combinations are what you never knew you needed. Rather than a traditional take on classic pizza, these pizzas take a different sort of culinary approach and effectively transform a tried and tested favorite into something entirely elevated. Our Panama Red pizza, for instance, uses a combination of shrimp, cilantro pesto, red bell peppers, jack cheese, and green onions, making it the perfect refreshing summertime pizza party choice. For something bold and smoky, and perfect for these cooler months, our Smiling Teeth Campfire Pizza uses a sweet onion marmalade on gluten free crust, and tops it with gorgonzola cheese, fresh rosemary, and smoked sausage. If none of our Bucceto’s Smiling Teeth combinations catch your eye as the perfect gluten free pizza Columbus party pick, you can always build your own. With a vast list of fresh ingredients, you can combine new flavors in any way you see fit, or stick to what you know you love. For kids’ parties where parents are invited, a basic gluten free cheese or pepperoni pizza is perfect for the little ones while parents enjoy something a little unique from the Smiling Teeth menu! 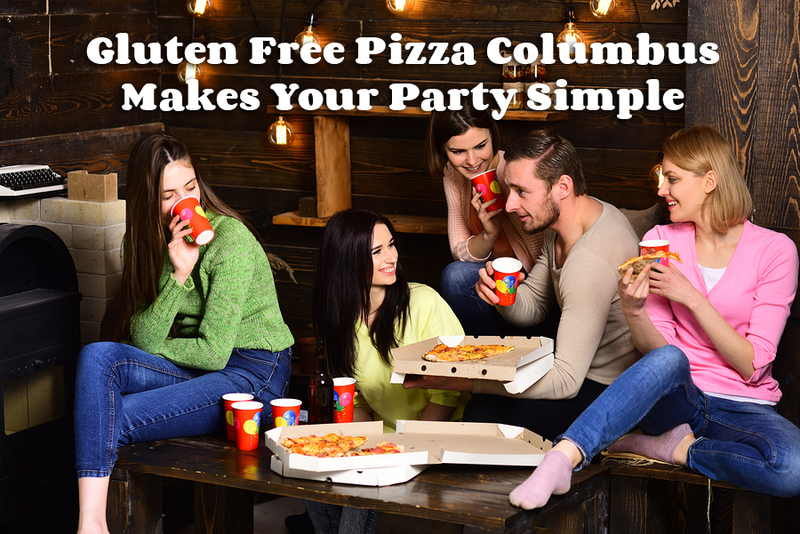 With gluten free pizza Columbus picks, your party planning can focus on the fun of the party, not how you’re going to satisfy each and every guest. Our Bucceto’s gluten free pizza options are always made fresh, and each pack in all of the classic and comforting pizza flavors you love the most.